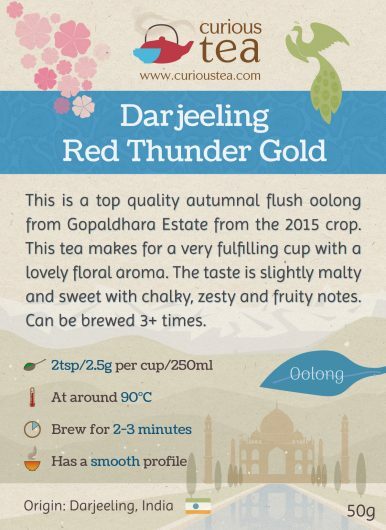 Darjeeling Gopaldhara Red Thunder Gold is a very special tippy autumnal oolong from Gopaldhara Estate located high up in the Himalayan foothills. 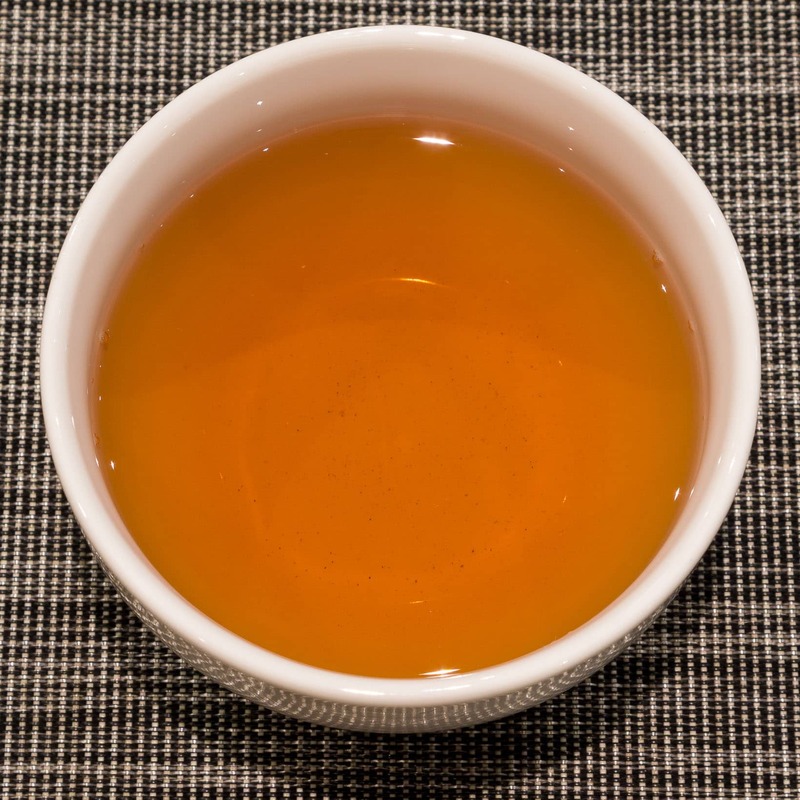 It produces a low tannin, fruity, wine-like liquor with floral, zesty and chalky notes. Gopaldhara Red Thunder Gold Oolong is a unique and rare tea that comes from the Gopaldhara Tea Estate in Darjeeling. 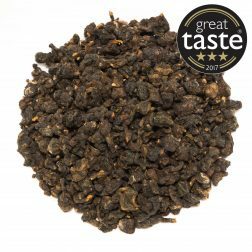 It was plucked in autumn 2015 and is the rarer ‘Gold’ variety, which signifies the choicest grade. The higher amount of golden tips also imparts a sweeter and smoother flavour to this gourmet tea. The high altitude location of the estate means that in late autumn the weather turns cold quite quickly. 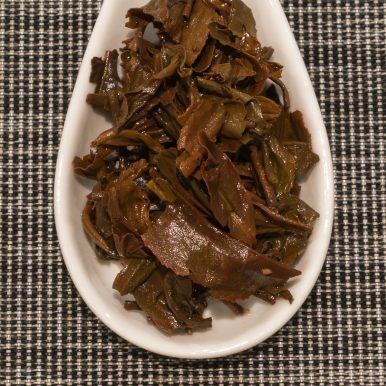 When Gopaldhara Red Thunder Gold Oolong tea is plucked, the leaves already start to get slightly frosted. They begin to wither on the tea plants, effectively starting a very slow fermentation process. 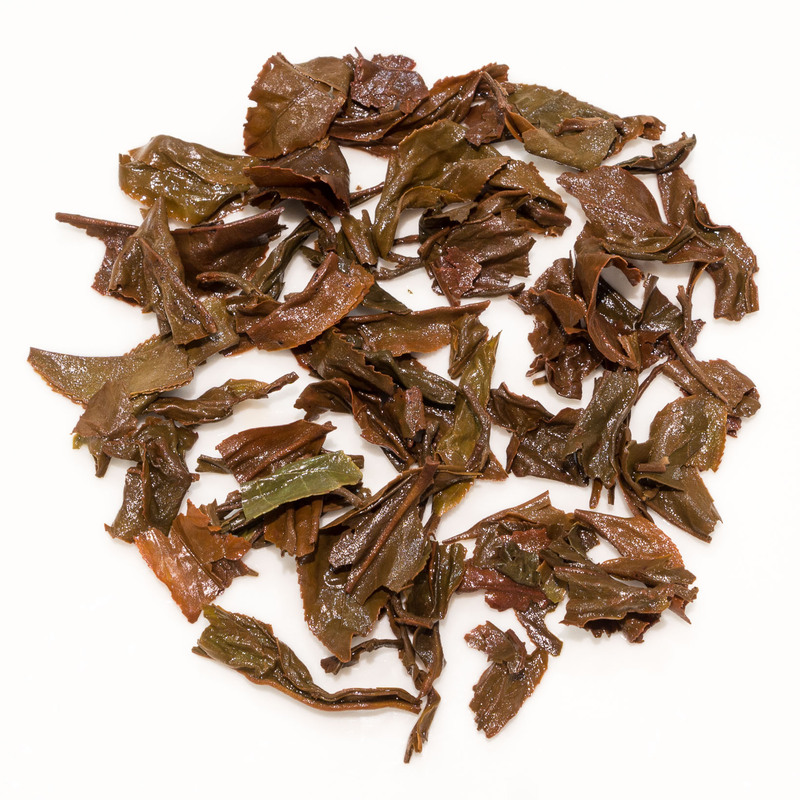 This is then combined with a very long oxidation process to produce this special tea. 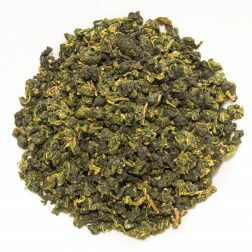 It is a very laborious method that has to be carefully controlled so that the leaves are plucked at just the right time. 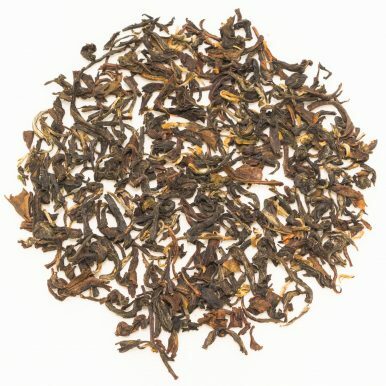 It means that the yield is very low, making this tea a very rare one indeed, and especially so for this unique Gold variety. The large leaves of this tea are somewhat mixed in appearance and produce a golden red liquor with a lovely, slightly fruity aroma. 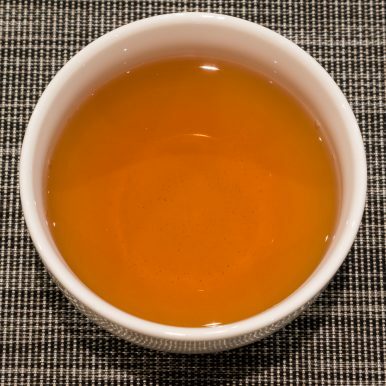 When brewed the character is Darjeeling-like yet very distinctive. 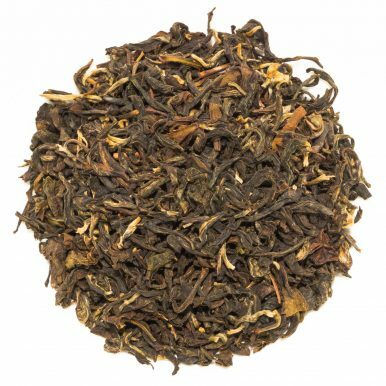 The frosting of the tea leaves that occurs due to high altitude as well as late picking results in a very distinctive taste. 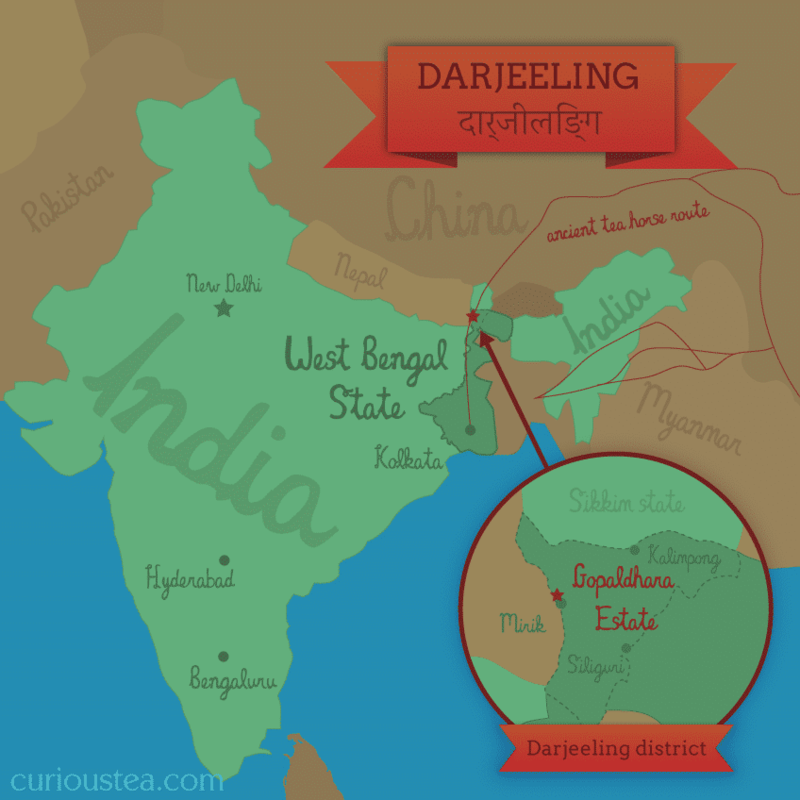 The flavour is very smooth and complex, with typical Darjeeling floral notes combining with the more unusual warm, chalky and sweet ones to create a truly captivating tea experience. Gopaldhara Red Thunder Gold Oolong is best brewed at 90°C for 2-3 minutes and can be brewed multiple (3+) times. 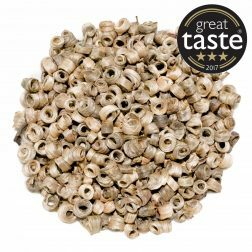 Savour this special tea on its own, or try combining it with your favourite dishes that normally call for a glass of red wine – a very tasty and healthy substitute! This India Darjeeling Gopaldhara Red Thunder Gold Oolong tea was first featured in our January 2016 Curious Tea Subscription Boxes.